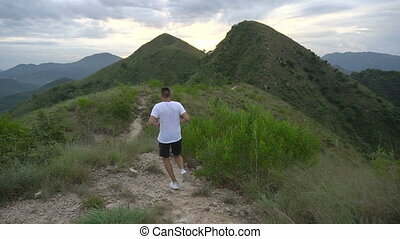 Running man athlete training outdoors exercising on mountain forest trail at sunset in amazing landscape nature. 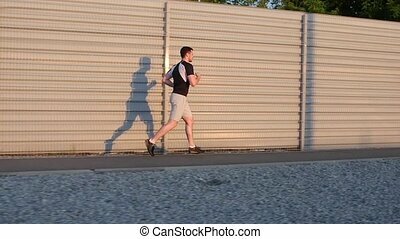 Fit handsome athletic male working out for marathon run outside in summer. 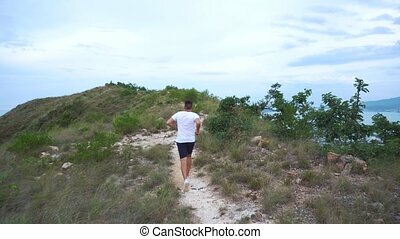 Young strong man running on road in beautiful nature. 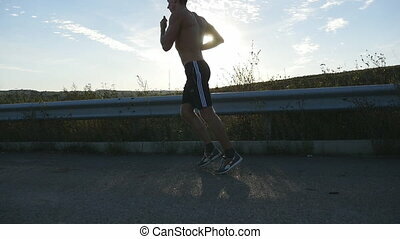 Male runner jogging during workout training on country road at sunset. 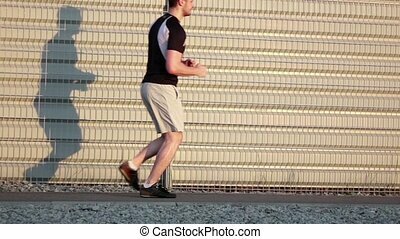 Handsome athletic male working out in summer. Training outdoors Slow Motion. 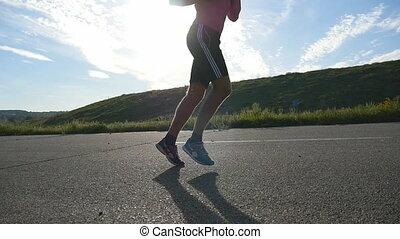 Running man exercising on mountain forest trail at sunset. Male run, work out. 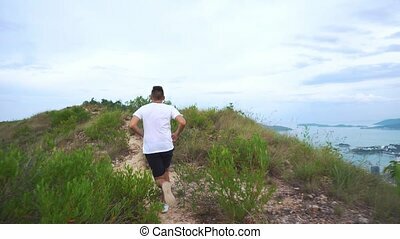 Running man exercising on mountain forest trail at sunset. Fit handsome athletic male working out. 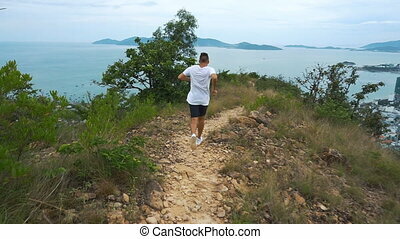 Man run on mountain with city view. 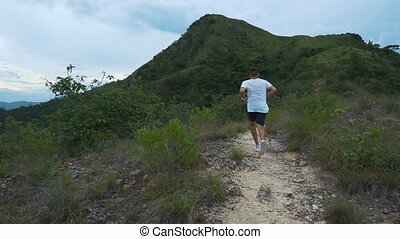 Man run outdoors on mountain. 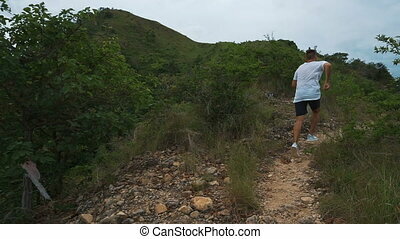 Fit boy and girl jogging on mountain track. Woman and man run in nature. Young sporty boy and girl running on mountain track. Woman and man work out in nature. 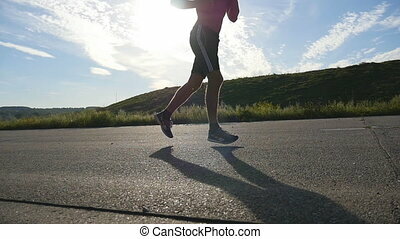 Running man on mountain road. 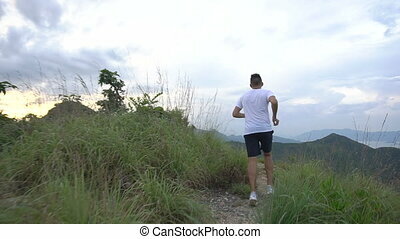 Sport fitness boy exercising outside in mountains. Living healthy lifestyle enjoying outdoor activity. 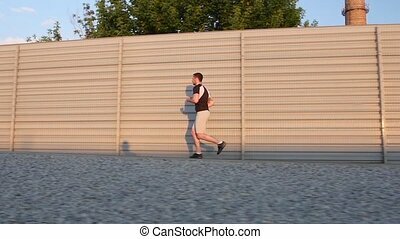 Male jogging. 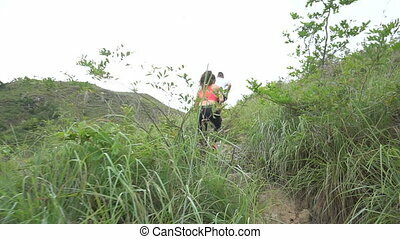 Sporty boy and girl running on difficult high mountain track. Woman and man work out in nature. 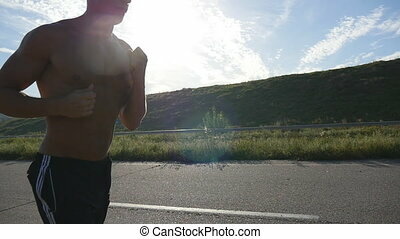 Jogging man on mountain road. 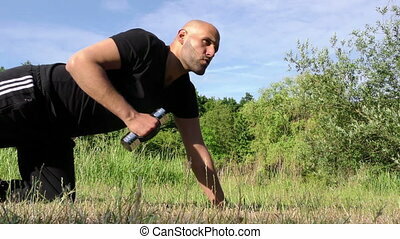 Sport fitness boy exercising outside in mountains. Living healthy lifestyle enjoying outdoor activity. 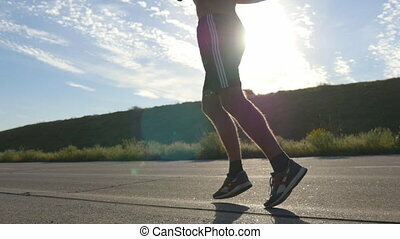 Male jogging. 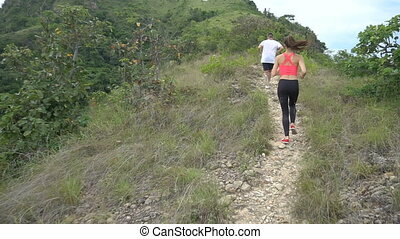 Young sporty boy and girl jogging on mountain track. Woman and man work out in nature. Slow motion. 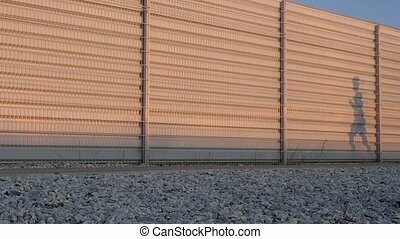 Healthy couple living active lifestyle. Fit man runner happy and celebrating success. Male stand on top of the mountain, cheering in winning gesture. 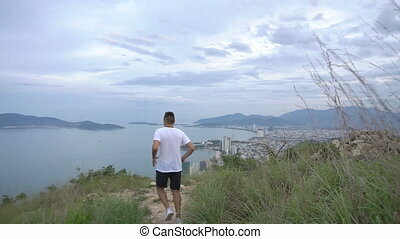 Beautiful view of Nha Trang city, Vietnam. 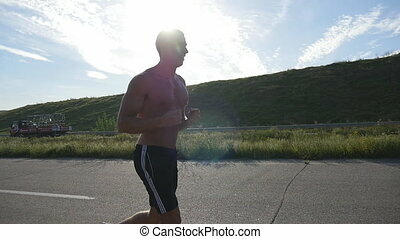 Jogging man on mountain road. 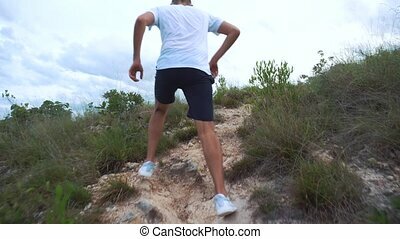 Sport fitness boy stumble on mountain trail. 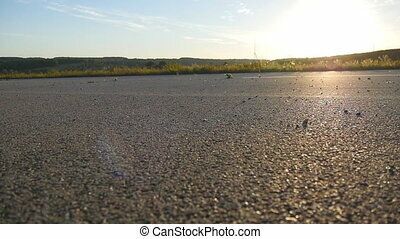 Beautiful mountainous view.